Let me show you how it works…. 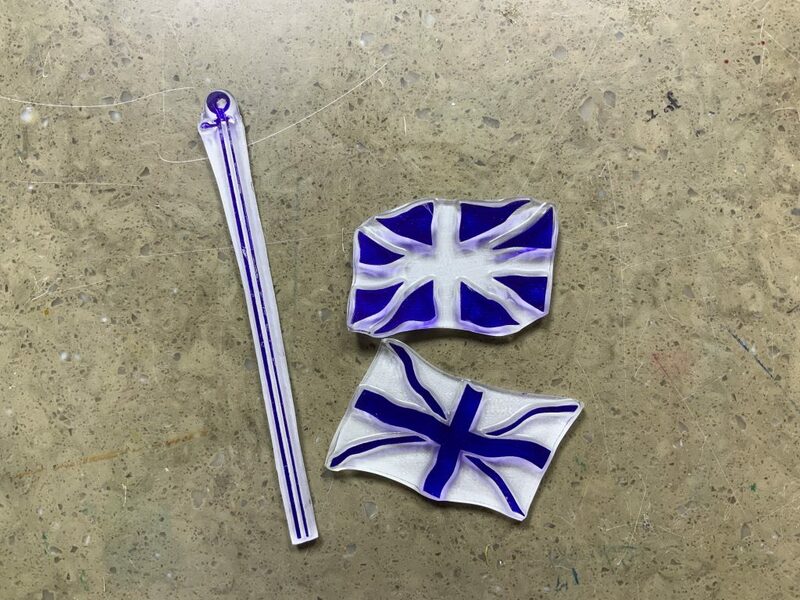 First, mount up the elements on mounts and find the right flag colours. I think Blue Chase and Blaze are perfect. I like the names, too; very appropriate just now! Then the blue part…. BINGO! A perfect Union Jack which even looks like it’s flapping in the wind! 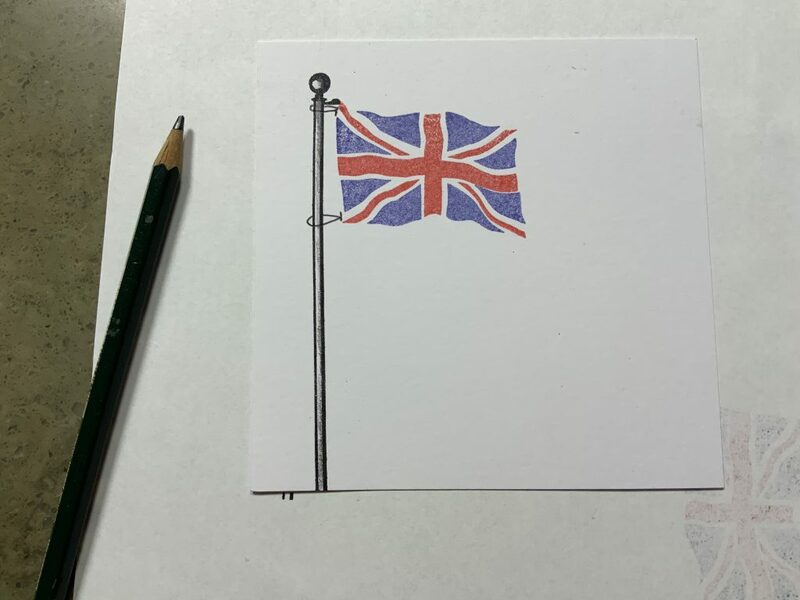 Add the flagpole, attach the flag to it, and then add a little shade. 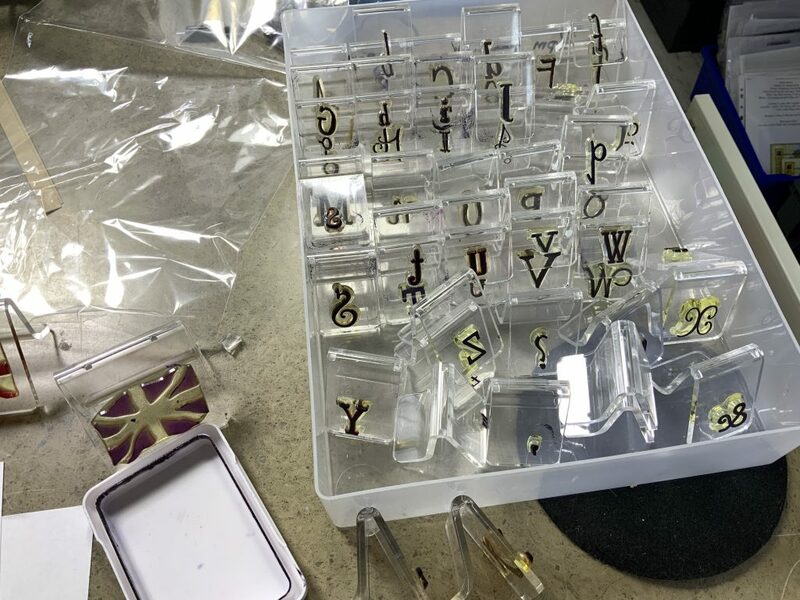 Now for the best ABC stampset ever! The Word Chain Set. I love it. Time to start writing… I mock it up on scrap first mind. Dust around the edges with a inky blue Clarity brush, run a red Promarker around all 4 sides, and mount on a white cardblank. Done. And that’s about the sum of it here at Clarity at the moment. I have thought long and hard about whether to pretend everything’s Business As Usual, because I hate confrontation, and personally go to great lengths in my life to avoid it where I can. However, I also want you to hear what’s going on in the industry from somebody you trust to be telling the truth, who’s not gossiping, just wants to dispel rumours which are kicking around, and put you in the picture. Because I think you deserve clarity. Loyalty is to be commended Barbara. I think I speak for many people when I say, anything you need, let us know! ….and a big AMEN to that from me, Maria. Great to hear we’ve all got our heads down to carry on. I hadn’t heard the rumours Barbara but I am pleased you are staying put.Business is business and there will always be movement – comings and going. I enjoy what you do on Hochanda and the banter with the presenters. I truly think you are doing the right thing. At the end of the day you have to true to yourself which is my ethos in day to day life. You have such a huge following you will be just fine. I just wanted to thank you for your ‘clarity’ on the rumours and wish you every success for the future. 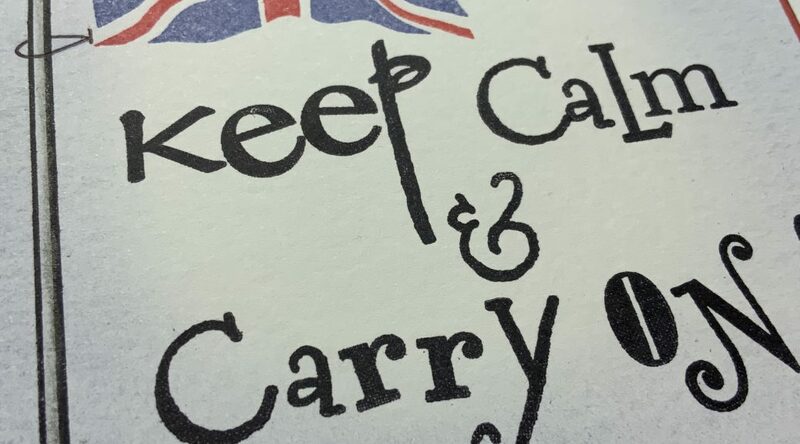 On a different note and harking back to your blog yesterday about Barter Books – did you know that’s where the original Keep Calm and Carry On poster was discovered? What a Segway – was it deliberate? More of what we love , sounds like a win, win situation. With you all the way! Love Clarity, love Hochanda. Onwards and upwards – ethics, honesty and innovation make for loyal, happy customers. I do so admire your ethics Barbara, we love seeing you on Hochanda. They give you the time to demonstrate properly. I hate this new business world where there is no loyalty and everyone chases the money. It’s probably my age 😅. I’m proud to stand tall, by your side Barbara, and to sing the praises of you, Clarity, and Hochanda as loud as I can. (As loud as I’ll be singing “Oh flower of Scotland” in a wee bit 😉!!!) I love the Hochanda family, and the direction they are going in. And what a brilliant bunch of presenters. THE BEST CRAFT CHANNEL EVER. Hands up who agrees? Hands up who is going to support Hochanda and help them through this, in sales as well as words? Both mine are up! Obviously we’ll also all be giving as much support as possible to you Barbara, and all things Clarity, that’s a no brainer, eh everyone?! There must be plenty wee innovative and original companies out there who would be happy to bring diversity and new custom to Hochanda. Why don’t we all have a think and send Hochanda wee suggestions of any good companies that fit this? That would be far better for the channel, and all us crafters, than the same old from the likes of Crafter’s Companion, and Tonic, in my opinion! Love you, for sticking to your morals and principles Barb. So few people do these days, in all walks of life! And thank you for being upfront and honest with us all, and giving us the correct info, before the rumours take off. Much, much appreciated. You’re so right, Brenda. It’s good to see you back here. I hadn’t heard the rumours but thank you for the clarification. I am delighted that you are staying at Hochanda, I love the presenters and the Clarity shows on there are terrific with great demonstrations . I’m glad you are staying on Hochanda, I love watching you and all your great creativity and products you bring to us. I love watching Hochanda and if the Tonic and Crafter Companion are moving that will just mean that I’ll have more money to spend with you. Thank you for clarifying Barbara. I love everything Clarity. Your self and team work so hard and are such an inspiration to all regardless of their ability. I am so pleased your staying with Hochanda also and will continue watching and supporting you all. Thank you Barbara for info’. So pleased you are remaining. Love all the demos from Clarity. Learning so much particularly parchment crafting. Groovi has encouraged me to return to the skill after many years. Loving the Pergamano lessons. Put all this behind you for now, rest, get out and get well. We all need you. Best whishes to you and the team. Put all this behind you for now, rest, get out and get well. We all need you. Best wishes to you and the team. I totally agree, a great company with such talented designers and staff. The dream team. What can I add to what others have written? You have my admiration and my loyalty. I just hope that Hochanda have other companies with your ethics that will stay and that they will continue to broadcast. I don’t do social media so haven’t heard anything.thank you for the update. Try to get some rest barbara your body is telling you too . Thank you Barbara. I realised a couple of companies had already disappeared. A shame but I will stay with Hochanda. I generally prefer the style of selling on this channel so will buy from the companies that stay with them. Glad you are staying put Barb, dont bother with the other channel anymore, not enough demo time and far too much me, me me, from certain presenters. Love Hochanda, new companies will come along soon enough, just wait and see. Take care of yourself in the meanwhile. Barbara, I’m so glad that you and the team are staying with Hochanda. My kids grew up with the mantra that some things are more important than money. What’s the good of having all the money in the world if you lose your integrity along the way? I too hadn’t heard the news but am so pleased Clarity is staying with Hochanda. I rarely watch Create & Craft now as there is too much of the presenters talking and not enough demonstration time. Hochanda give the ‘experts’ more time and that’s how you learn. Long may it continue. There will be an awful lot of crafters sunging a happy dance knowing Crafters Companion are going. For too long people have been complaining they are always on Hochanda. What with all the bad press about Sheena etc. I for one am thrilled we will get to see more of the companies we love. Smaller, more attentive, caring companies. I spent my birthday at Hochanda last year winning a dream day via facebook and I loved every second. So glad you are staying at Hochanda. So much better to watch than the other channel. Felt it was beginning to lose its way especially with one Company in particular seeming to take over especially as I feel there etics are questionable to say the least. Hope it will get back to more of what was planned at the beginning…. Demos…. Letting the quality of the goods sell themselves…. Championing smaller companies. Loving the new ideas you are now putting in place for Clarity. Just one other of the larger companies I hope stays with HOCHANDA. The other two I’m not fussed about so won’t miss. Try to find time to relax…… Things change all the time…. Life will go on… For the better I’m sure. Onwards and upwards! Might I suggest some high power Manuka honey for your poor mouth ulcers and just for the good of you!!! Thank you Barbara, your honesty and integrity are to be applauded and your loyalty is admirable. I remember watching you, in your first TV shows, creating a beautiful image using torn paper sheets and a brayer and like many I was mesmerised. Over the years things have evolved and your company has grown in size and you have expanded your range, but it seems to me, despite the inevitable pressure that goes with shopping tv. you have never succumbed to the temptation to cut corners and for that I thank you, long may it continue. Good luck for the future, Barbara. I’m glad you are staying with Hochanda. Good for you Barbara. I’ve always respected your company ethics. It’s a pity some of the others don’t take a leaf out of your book. I for one like Hochanda where crafters get the chance to demonstrate without the constant hard sell. Well done Barbara, honesty is rare. Thank you for updating us, but I must say I enjoy watching Hochanda more than C and C, less pressure and as you say it allows companies to shine. Clarity have chosen well, and so agree that if it’s about the money, stop now, that’s not what crafting is about, it’s about fun, inspiration and watching good friends. I was not aware of these shenanigans as I do not do social media. Yours is the only blog I read so thank you for the update. Never watch c&c now. I have been viewing Hochanda since day 1, and was delighted that you got more time to demonstrate. Several times I have been undecided whether to buy an item but after seeing the samples from your team and the demos on screen the purchase has been made. I truly believe it is this and the consistent superb quality of the products that achieves so many sell-outs. I will keep faith with Clarity and you and the team till I peg out as you have given me much inspiration and joy through some rough times. Sorry you are not in the best of health, try to delegate some of the tasks to the team. Perhaps they could fill in some of the extra tv slots with some of the older products as a refresher for us and to take the pressure off you for a while. We love and admire you Barb, and wish you well. Considering how often there are Crafters Companion shows on Hochanda I am blooming surprised and somewhat dismayed at the same time – where is their loyalty?!! I’ll be staying with you and where you go Barbara, I know that you’ll always do the honest and honorable thing so I am more than happy to stick to you like glue. Ah well each to their own , i haven’t heard any rumours but all the same I am glad you are stll with hochanda I love how they let companies demonstrate. Thank you for taking the time to explain about the moves…..So glad to hear you are staying with Hochanda and that your business is doing so well…. I find you a very honest and lovely human being….. All the best..
Good for you Barbara. I am so looking forward to the Craftalong and more Pergamano tool instructions. You know by your blog we are all behind you and love all your products, whichever line ofcrafting we follow. I was ripped off by Create and Craft and haven’t shopped with them since. I regularly shop with Clarity. Ethics and honesty are everything. You will keep your customers because you treat us well. Some businesses think they are so big that it doesn’t matter as they can always get another buyer, and maybe that works if their product is really good or they are a monopoly. But even the really lazy are leaving the big six energy companies… Take heart, Barbara, and relax, get well – Clarity will survive this and thrive but not without you. Sending you a big hug, you sound as though you need it. Thank you for telling us what is going on, I don’t do social media so was unaware of the rumours. I’m so glad you are staying with Hochanda, youalways talk about the company and how they respect you so well done you for sticking with them, all will be well. It’s a shame the other companies are going but they probably look at the bottom line rather than how well they are treated. Things will work out I’m sure but in the meantime, more clarity, yeah. 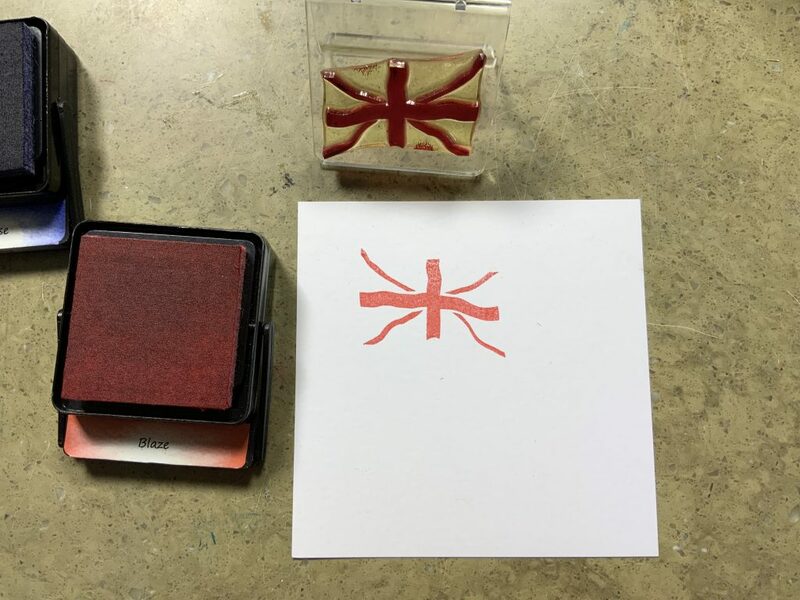 It’s lovely to see an old stamp revisited, I’m sure Paul will appreciate it. Now go and look after yourself and try and relax. I, for one, purchase the items i like, need and enjoy using regardless of which TV channel they appear on. Keep on producing your fantastic goods and we will continue to buy them. Many thanks for putting us all in the picture. So glad that you and yours are so committed to Hochanda it has a very different vibe to create and craft don’t see the attraction for them to jump ship but for sum it’s a revolving door mentality I will be loyal to Hochanda. Well done lovely lady for sticking by your principles. I enjoy what Hochanda is doing. I like the format and the presenters. Lots of demos and some very different products. I won’t miss Tonic or Crafter’s and never watch C&C now. The most important thing to remember in all this is to please look after yourself and Dave and the team. 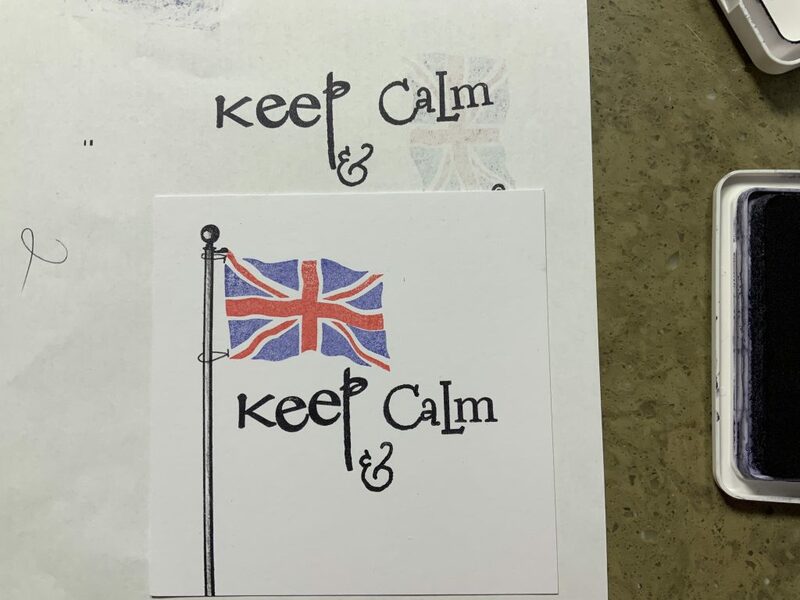 Thank goodness for the common sense approach that is Clarity, I for one will be pleased that Hochanda will no longer be dominated by these two companies (although I like them both in moderation). Definitely look forward to seeing you demonstrating more and a bigger platform for some of the smaller companies. This is the first I have heard of any problems but well done you and the team for sticking by your principles. Hochanda is by far and wide the best company for you and for us. There was a reason why the other companies left Create & Craft in the first place. Why go back? They all deserve each other. I, for one, am looking forward to watching Clarity on Hochanda. Keep your chin up and look after yourselves. OMG. I, like others, do not follow anything on face book etc. What on earth has gotten into the others that they are even contemplating leaving Hochanda!!!! I really like CC and have been a keen follower of theres. BUT I will not follow them on C&C as in the past I too have had unhappy experiences with them. I hope they have not jumped from a safe frying pan into a hot fire. I will follow CC on their own site because, as you have Barbara, they have wonderful people working for them. I will miss them on Hochanda. I am relieved to hear you and your integrity are staying put as am I and look forward to the future with you. Who knows the others my find the grass is not greener!! I don’t write here very often, but read every post. Each company must as always do what they believe is best for business. Reality is with so little choice, its one channel or the other or none. These are businesses after all. I wonder though with two companies, who have a lot of air time, if already existing will be pushed out. Demonstrators have though appeared much happier and relaxed on Hochanda. I, personally, won’t watch C&C, I don’t want juvenile presenters, either screamy or being stupid. You can pass on to Hochanda… its a much better viewer and purchaser experience. Well there is not anything left for me to say other than I agree with everything the other loyal followers have said. I admire your loyalty and having been with HOCHANDA from day one and an admirer of everything Clarity I won’t be going anywhere soon. I have always loved everything Clarity, and I love that you are staying with Hochanda. Rarely watch C&C much these days. Look after yourself, and remember health comes first. Hi Barbara and the Clarity Team, well I think everyone on this blog have said it all I totally agree with everything. Thank you for keeping us all in the loop, I had notice some companies had moved over to the other channel but just check the odd time to see what they are doing. Nothing new and inspiring, I have joined the Die Club this year and from the dies I have bought from Clarity now they are inspiring and different. Everything else is same old, same old. Please let the others do what they do , you learn us new and different things so we can grow and get better in all different aspects of what ever craft we do. Please look after yourselves and we will all still be there watching your brilliant team help us as always. Sorry you are not well, we all know you have had a busy time we won’t mind if you step back , look after yourselves. Glad to see that Clarity are staying with Hochanda. Really enjoy the shows since Hochanda started, not only do you get to demonstrate the products but they are also on Rewind which is a brilliant bonus. The presenters are lovely and you can tell they are really interested in learning, you only had to see Yannis on the brilliant Pergamano show. The other shopping channel I’ve heard have had a change of management but it hasn’t changed the reason an awful lot of people were looking for more variety on craft channels. The grass is not always greener on the other side! Looking forward to continuing to watch the Clarity shows, the continued growth of BOTH Clarity and HOCHANDA. You take care and thank you for your honesty. like you and yours. As the inspiration keeps our crafting going. Well I’m very pleased that Clarity is staying with Hochanda, very disappointed that others are leaving, tho I feel they will be back again. I really dislike the way C&C rip their customers off with postage charges I won’t say more. Thank you for sharing what is going on. Here in the US we don’t even have one crafting channel. We have a shopping channel called HSN that has a few “crafters” days a year. I found Hochanda thanks to Crafter’s Companion mentioning their facebook page on HSN and then several members commenting on Hochanda on CCs facebook page. 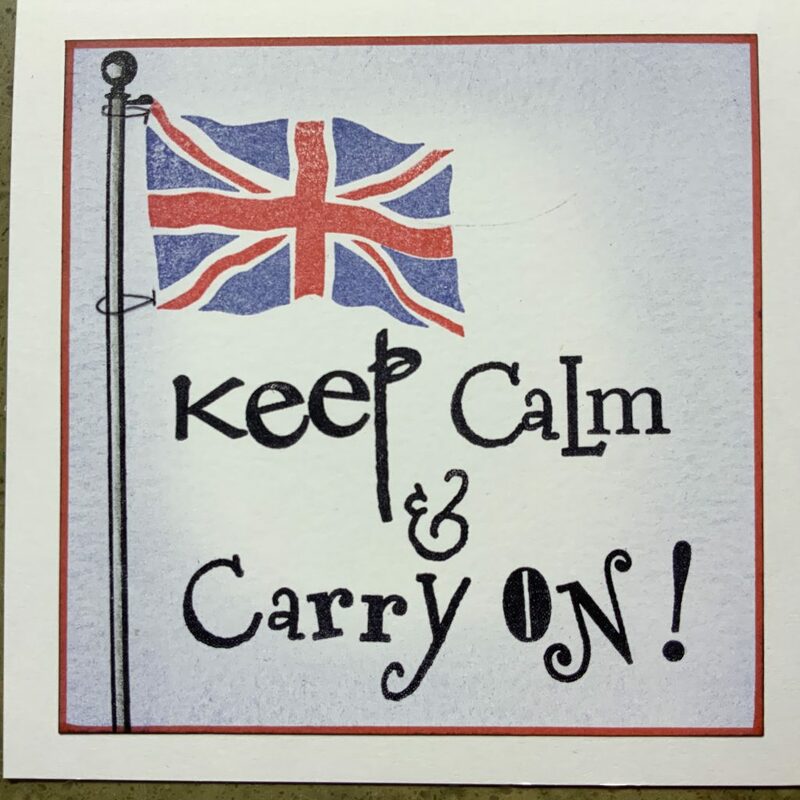 Until then I had no idea I could order crafting supplies from the UK. I am most grateful because that is how I found Clarity and you! I have been a big fan and loyal customer ever since. I don’t know if you had heard this but HSN recently did a survey to see what companies we want on HSN and Clarity and Groovi were requested several times. I don’t know if you have any interest in that but I thought it might cheer you to know you are very loved on this side of the pond as well. I will happily continue to watch you on Hochanda for as long as you choose to be there. Now please rest up and feel better. As I don’t do social media I haven’t been aware of any rumours so thank you for putting us in the picture. I’m very much a fan of Hochanda, the presenters are all very good at what they do, allowing the demonstrators ample time to show us their work and all the samples. They all seem to be genuinely interested in the products and to have a great amount of knowledge of crafting and I like the way they allow you to continue a demonstration from a previous hour. I haven’t watched C and C for ages, some of the presenters get right on my wick and obviously have no great interest or knowledge about what they are selling. With Hochanda I sometimes find myself watching a show about something I will probably never do but is fascinating to watch. Loved the Pergamano shows, learned so much, and great camera work with really good closeups. Well done to the Clarity team for being loyal to hochanda and true to yourselves. I personally believe that C&C and Tonic get to much air time. I much prefer the new companies that are coming through not only with good products like yourself but new ideas. Quality counts and I think you are quality. These other companies churn out one thing after another and a lot are the same old not exciting. That’s where your different you bring quality and class to hochanda and I believe that Hochanda will thrive without these companies as people start turning off when it’s the same old all the time. Good luck. So Barbara writes that Crafters Companion and Tonic are going back to Create and Craft, yet Jodie Johnson stated yesterday afternoon that Tonic are NOT going back to Create and Craft. I find going back to the start always helps when I feel lost in a fog of confusion and doubt you have done that guided by your moral compass you have found the centre of why you are here doing what you do money is a necessity to live but not a God to worship grounded by your integrity mindfulness and calm in the unrelenting online noise and chaos keep calm and carry on is a banner we can all carry. Thank you for the update Barbara so glad you are staying with Hochanda. Sad to loose Crafters Companion and Tonic it will leave a big hole I look forward to more shows from Clarity. There’s always an up, I will have more money to spent on Clarity. I definitely won’t be shopping on Create and Craft I don’t like the service they provide. Love and hugs hope you feel better soon. Oh Barbara, what a carry on. So glad to hear you are loyal to Hochanda, I rarely watch C&C these days, just skip through the schedule briefly and then watch Hochanda. I don’t understand how C&C. win all those awards. Hochanda give much more time to demos and the shows are so much more relaxed. 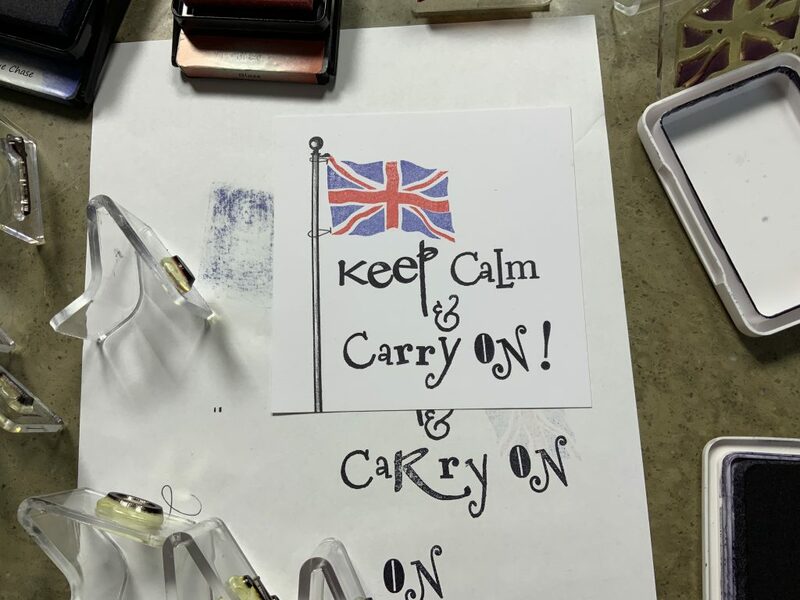 It is obvious to anyone how much time and effort you give to your Company, even when your wedding, trade shows, retreats, etc are happening, you are there, inspiring us to stamp, stencil and groove. I never saw myself as anything but a sewer, but now ……. Try to delegate a bit more Barbara, as in your pottery class, we want you there for ever, but not worn out. Thanks for the update on happenings on TV, and hope some more inspiring companies join you on Hochanda soon. Well I expect I’m going to be in the minority here as I’ve not watched either C&C or Hochanda I know shock horror 😂. 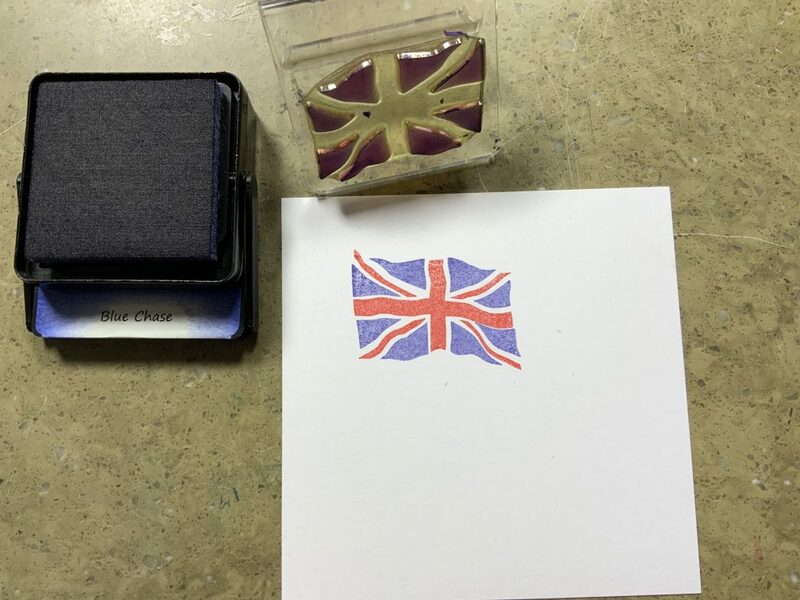 I’m a stamper and have bought from a company for last five years but a couple of weeks ago I was poorly and laid up I decided to recline in my chair with laptop and You Tube channel. I found you Barbara and I spent a whole day glued to your videos. I was enthralled with the Gelli Plate techniques and your stamps are so different. Bet you know what’s coming next…. yep I went off and ordered from Clarity. At the weekend I was expecting a couple of friends round to craft and I mentioned the Gelli plate were they aware of it. One of the ladies had brought three plates round for us to play with and I was even more certain I had done the right thing ordering your products. 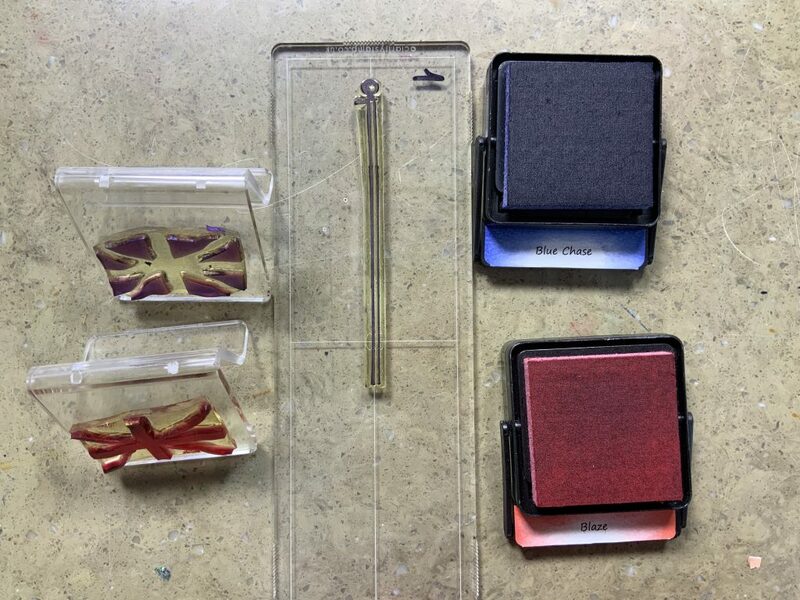 Then on Friday another long term (and crafty friend) came round for a craft session and I introduced her to Clarity and Barbara Gray videos like me she was in craft heaven with all you had shared on your blog and You Tube and as a result we both ordered more stamps. I’m going to be making up samples for the five ladies who craft with me once a month and hopefully they will enjoy them enough for me to be able to order for them also and we can do sessions with not only your products (but I was happy to see all the products I have here already work hand in hand with yours) so thank you for that. I may based on your honest Clarity Barbara take a peek at the channel (I love Leonie also) but to be honest if I can now follow you where I found you that’s fine for me. But I’m glad the lady I saw shine through on her videos is standing true to her company her team her customers and her followers. to all of this I have to tell you that I can´t order at Hochanda for months. They have a huge problem and the result is it is not possible for customers from other countries to pay by paypal. They are not able to work it out. I have no credit card so paypal is the only way to pay for me. I´m sorry but that is a fact. Goodness, I do do social media, but apparently with my head in the sand! I’m sure you have made the right decision for yourself and your wonderful company, and as HOCHANDA is the only shopping channel I have on my TV I’m pleased I don’t have to re-tune. We’ve had Time to Talk day this week, trying to encourage people to talk about their mental health, so thank you for sharing about your personal stress. I can recommend Mindful Art Journalling as a way to process some of those feelings. Try Workshop Muse, who seems to be a very ethical young woman offering free online workshops, just aiming to help others, and they only take 30 minutes of your time, which I know is precious. I’m not on commission, but have personally found them very helpful. Thank you to everyone for all the support you have shown to Barbara, Clarity and Hochanda. The number and the size of the above posts are a measure of how well you are regarded Barbara. They say it all about you and your company. Hope reading all of them has made you feel better. Here’s a HUGE HUG for a very special lady. Crikey! Barbara! That’s a bit of a surprise! – Nice people stick together. You and all your team are NICE. Your products are quality and your ethics are quality. Great, we will get more Clarity on Hochanda! – Sadly, for those who are going over to C&C may well be jumping back again sooner than they anticipate when many, I know cant bare some of the C&C presenters annoying voices!, me included! Hochanda is far more superior and I am definitely not paying those P &P prices on C&C! Hi. Have read through above comments so will say how hard it must have been when you were approached by c and c. You have many employees and your own income to consider alongside principles etc. I watch craft shows for demos and quality products not for hearing about presenters lives and silly behaviour as cc presenters constantly behave childishly. I encouraged my son in law to invest in Hochanda at the beginning and still hope they will attract more companies to replace their income they will loose. Seems ex highlands CEO now CEO of cc is making offers too good to turn down for some c companies but high rates of returns can’t be maintained by them for ever. I’m old-fashioned in that I believe in morals and principles and loyalty and sad that some people are hopping back and forth on a whim. I d I d not renew my membership with cc last year after 5 years due to too much chat and only dip in to see sewing demos if interested. I admire your ethos and commitment and will continue to support you. Barbara, thank you for sharing the update and a big thank you for your integrity, honesty and overall enthusiasm. So much has been said above in support and love of you and the whole Clarity team, I can only agree and add my small voice to the “Clarity chorus”. I have been crafting with Clarity since the beginning, and look forward to a long and continuing crafty relationship. You are the best in all you do and that goes for the whole Clarity team. As Paul so elegantly puts it – Clarity Rocks. And Hochanda are a perfect partner and window for all things Clarity. However, first, foremost and most important of all – look after and take care of yourself! We need you and Dave to be fit, healthy and full of life! Stay Calm and Keep on Clarity! Hi Barbara – I have been on the missing list for quite a while, due to illness and sorting and packing for our big house move. Even though I do go on FB sometimes, I’m by no means an avid user of it, but I haven’t noticed anything about the move back to C & C for those companies. I haven’t watched C & C since the launch of Hochanda and have watched it grow and improve. You have been there to guide them through some troubled waters at times. I really feel for you and for Hochanda, but I am sure that all will be well. Their format is way superior to any other craft channel and I think that they will continue to thrive. It would be lovely to see other smaller companies coming on board with them, with perhaps some totally different types of crafts. Please don’t wear yourself out with trying to fix it all yourself – your body won’t be able to take that and we all need you to continue to be well enough, as do your family (which includes your employees). You really do underestimate what a big part you play in all of our lives! When I went to the Open Day in Leyburn in 2017, I can truly say that it was one of the best days of my life. Meeting you was so wonderful! After our initial hello and lovely hug, I felt as though I had known you for years. Which of course I had, but only through tv. I love that you are just the same on tv and in real life. Long may you and Hochanda continue to work together and flourish. What a brilliant force you make – inspiring and encouraging so many crafters. I am so grateful you have decided to remain part of the same family. Here’s to your well deserved current and future success. Sorry your feeling rough but great to read so much support not just for Clarity but for Hochanda too. By far the best channel and their philosophy of learning and entertainment mean the selling comes naturally and the focus on the guest and products really works. So much better than the irritating self promotion of the presenters elsewhere. Others might move away but H seem to keep finding little gems of originality. I followed Clarity to Hochanda from the other channel when you didn’t appear one Sunday, no explanation was given. Your web site was promoting Hochanda, so I gave it a try, OK those early days were a not so professional. but hey, Leonie joined and all was great. I also know a small company who occasionally appear and I was told that C & C don’t have a very good reputation. What a lot of lovely feedback for both Clarity and Hochanda! I hope that you get chance to read them all. Hochanda was my doorway to Clarity and crafting and appreciate the underlying family ethic and inclusiveness of Hochanda and was disappointed to hear about the imminent departures. I only watch Hochanda and find the other channel unwatchable. I love how honest and open you are Barbara! Good for you, and well said and all that. Stay true to yourself, it’s the best way. I used to be a C & C viewer, but I’ve moved over to Hochanda. So much better, it’s fun to watch, it’s about the crafts. They spend time on the demos, and show passion for the brands they share. On the other channel I find myself cringing at the behaviour of some of the presenters, all the pathetic giggling and private jokes between them doesn’t make good viewing in my opinion. I wish you and Hochanda the very best of luck, you both deserve it! Thanks Barbara for keeping us informed. Your blog is the first thing I read when I come home from work and I always watch your Youtube videos and never miss you on Hochanda. They are my happy places in a crazy world. I am new to your blog only with Horganza for several months. Here in the states we have HSN craft day it is fine but not much time given to demo! Before Hochanda I watched CC only channel available! Then discovered Hochanda quite different from the chaotic job of selling! I could relax with a cuppa for an hour & could see demos that were so helpful. I was sold & have been a loyal fan since. Hosts are amazing not interrupting the guests! So many new things I was introduced to! Clarity & your lovely team are among my favorites. I quite admire Hochanda for bringing the small businesses to their show so many new designs & lovely people to view! I do enjoy your blogs Barbara Gray & have learned so much from you videos. 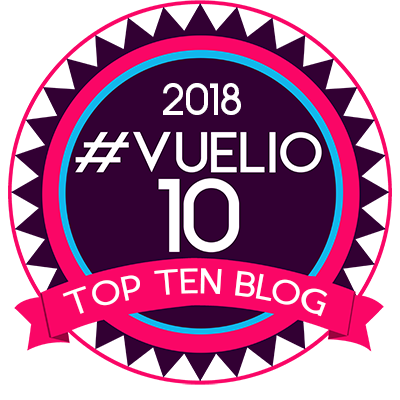 This blog says it all. There is something to be said about loyalty! Looking forward to all your fab demos. Bless you & your talented team! First Barbara, your health is the most important issue at the moment. If you don’t take care of yourself, no one else will, please put yourself and family first. Now, on the other issues, crafters are very fickle people, but on the other hand, they are also committed in their own way. It has been very interesting to watch the changes that have occurred in the USA since the introduction of the UK companies. Actually, when create & craft introduced the crafting channel, the industry started to change due to people starving for demos, new products, social media, and the lack of this due to the shutdown of maw and pop stores here in the US by the big industries. As a long time crafter, I don’t think I have ever seen the massive amount of competition as there is now. I own many of your products and it does not matter which channel you are on, I will continue to shop with you. I am sure that your followers will continue to do the same. Your decisions should be personal one, where you are most secure. Follow your heart and lots of luck. Again, stop and take care of you, this will past as all things. Barbara I do hope you take strength from these comments and assurance that you have made the right decision for your company and team. Drawing on my business experience and intuition I would suspect that c&c have engaged this strategy to reduce the competition risk. Therefore the companies that are moving across are likely to find that after the honeymoon period they will find themselves supressed or unable to compete directly with the large dominant brands that could “copy” products and could reduce pricing to maintain share. 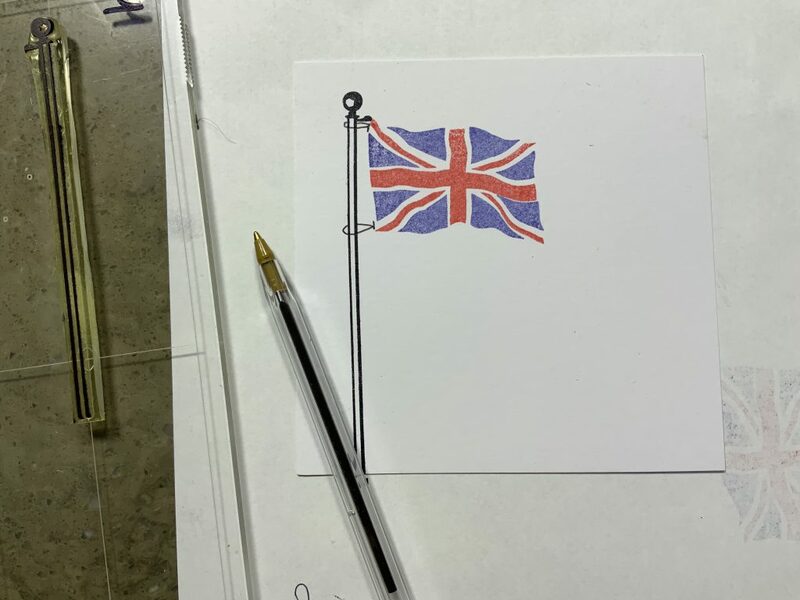 It would be great if hochanda could secure some key brands to move across who no doubt are finding themselves in this position today and concerned about the potential issues. Hunkydory? They also need a paper and card supply company that offers good quality at reasonable pricing. Linda Chapman? When you feel your stress levels rise just sit back and enjoy the pleasure of not being involved in what is to come. You have stability and loyalty and of course high quality products.